What did Nixon know and when did he know it? 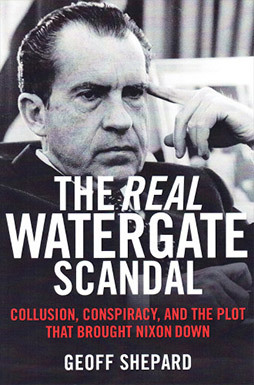 Nixon’s legal team built their defense around the idea that Nixon was not aware of the specifics of any cover-up or personally involved in trying to ascertain what had happened until his March 21, 1973 meeting with John Dean – the infamous “cancer on the presidency” conversation where Dean reveals Hunt’s blackmail demands. Both Dean and Nixon have always maintained that to be the case – that the President had no real appreciation of what had been going on before that. In fact, Dean told the original prosecutors that even after that initial conversation, Nixon still didn’t get it. But the 18½ Minute Gap and the Smoking Gun tape, coming within a week of the break-in arrests, certainly suggested that Nixon may have known much more than he was letting on. It does seem reasonable that, upon returning from Key Biscayne, he would have demanded the truth and realized it might lead to Mitchell. Why else was Mitchell fired? Since it now turns out that the Gap was insignificant and the smoking gun totally misinterpreted, we are back to the initial view. My own belief is that Nixon didn’t know any specifics – and didn’t want to know any – before March 21st. The tapes do show that, as troubles worsened, he was assured by various aides that, while they were clean, some others might not be. The trouble is that Nixon really didn’t know who to believe at that point, so he spent his time worrying about more pressing challenges. After March 21st, however, he found that he had a great deal to worry about.